With WOC 2015 coming up, it seemed like a good opportunity to move to Scotland. I have spent a lot of time there on training camps, but never lived there before, so it was an exciting step. We chose to move to Stirling, as I knew quite a few people in the local club, Forth Valley Orienteers. They are also just about the most active club in Scotland, and Stirling is well located for hill running, orienteering, and also for travelling to Edinburgh or Glasgow. We moved in the end of October, after the end of the Swedish season, and got straight into some tough Scottish orienteering. My new training partner is Mark Nixon, who is also a Forth Valley member, and we met regularly before Christmas to push each other in training sessions like these. 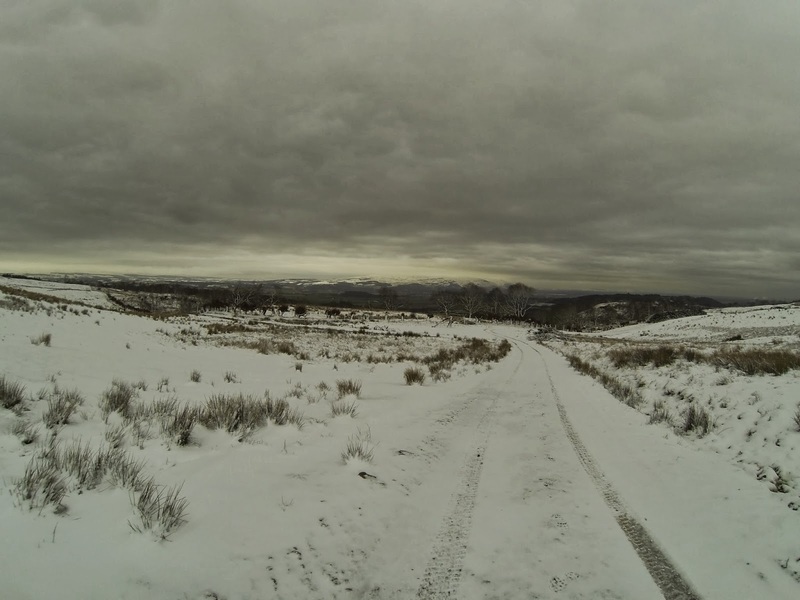 The first week in January the GB team had a WOC 2015 camp near Inverness. All my maps are in my map archive here. One of the main reasons for leaving the Stockholm area is to get into the hills more, and within 45 minutes of Stirling are both the Ochil Hills and the Trossachs which have become my new favourite running grounds.